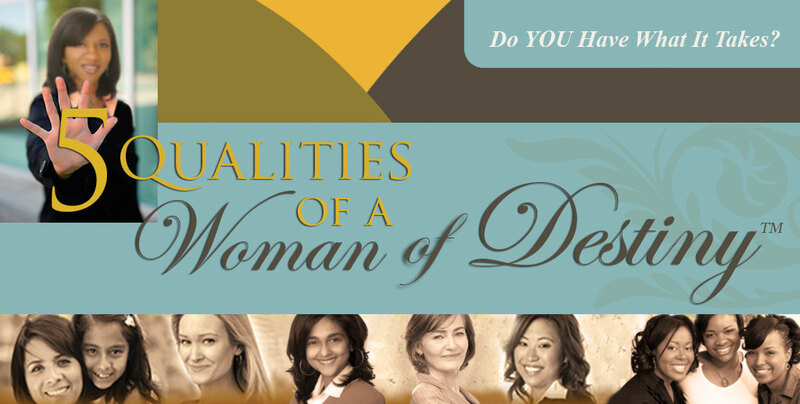 Developed from my book, 5 Qualities of a Woman of Destiny, this presentation will help you tap into the hidden qualities yet to be revealed in you! This presentation is perfect for any women’s event: conferences, retreats, workshops, book club, or in a group coaching settings. Woman of Destiny, arise! Your time has come! The Word of the Lord has been spoken! Your day is at hand, but do you have what it takes? As a Woman of Destiny you must possess certain qualities to succeed in God’s plan and purpose for your life. Upon conclusion of this presentation, you will leave empowered to embrace your destiny and impact those in your sphere of influence.